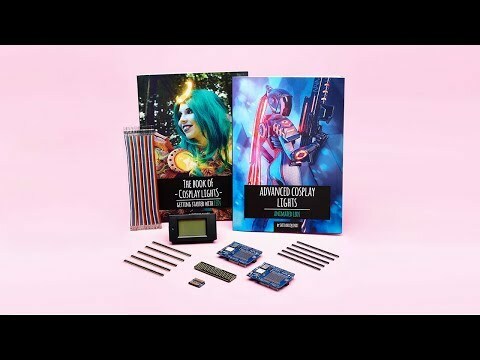 We can get 92 units from Adafruit Australia. Connect your Arduino-compatible to the Internet with this WiFi shield that features the FCC-certified ATWINC1500 module from Atmel. This 802.11bgn-capable WiFi module is the best new thing for networking your devices, with SSL support and rock solid performance - running our adafruit.io MQTT demo for a full weekend straight with no hiccups (it would have run longer but we had to go to work, so we unplugged it). These SPI-protocol WiFi module are currently the best way to add WiFi to your Arduino-compatible so we've decided to make a handy shield for it. The shield comes with level shifting on all the input pins so you can use it with 3V or 5V logic boards. A 3.3V voltage regulator that can handle the 300mA spikes lets you power from 3-5.5VDC. There's also 3 LEDs that you can control over the SPI interface (part of the library code) or you can have controlled by the Arduino library. They'll light up when connected to an SSID, or transmitting data. We also tossed on a micro SD card socket, you can use that to host or store data you get from the Internet. Arduino's based on the ATmega328 (like the UNO) cannot use both the WiFi module and SD library at the same time, they're too small. Upgrade to a Metro M0 Express to get a big memory bump!